I would like to start off by congratulating Shanshan Feng on winning the Blue Bay LPGA. For a full recap on that tournament press here. This week the LPGA returns to the United States with the playing of the CME Group Tour Championship. This is the final tournament on the 2017 LPGA schedule. Last year's exciting finish saw Charley Hull and So Yeon Ryu tied for the lead with just two holes to play. Hull would birdie the 17th hole while Ryu bogeyed it, sending Hull home with a two stroke victory and the championship trophy. Ariya Jutanugarn who finished tied for fourth, hung on to win the one million dollar bonus. My strength of field rating is 68% (down from 73% last year). Forty of the top 50 players from the LPGA Priority List (not used for this event) and twenty-one of the top 25 players from the Rolex Rankings will be teeing it up. Unlike previous years, a number of top players who qualified for this event will not be teeing it up. Those players include: Haru Nomura, Hyo Joo Kim, M.J. Hur, Chella Choi, Inbee Park (injury), Su Oh, and Laura Gonzalez Escallon. I million dollars will go to the winner of the Race to the CME Globe. Lexi Thompson currently leads (see below for current standings). The Rolex Player of the Year is still up for grabs. So Yeon Ryu currently has the lead by a very narrow margin over Shanshan Feng, Sung Hyun Park, and Lexi Thompson. The winner receives a Hall of Fame point. The Vare Trophy is about as tight as could be as Lexi Thompson has a very narrow lead over Sung Hyun Park. It still remains a mystery as to who will finish the season as #1 in the Rolex Rankings. Shanshan Feng (the current leader), Sung Hyun Park, So Yeon Ryu, and Lexi Thompson are all tightly bunched up and have mathematical chances of finishing on top. 1- Moriya Jutanugarn - Eventually she will have to finish one. Why not here? 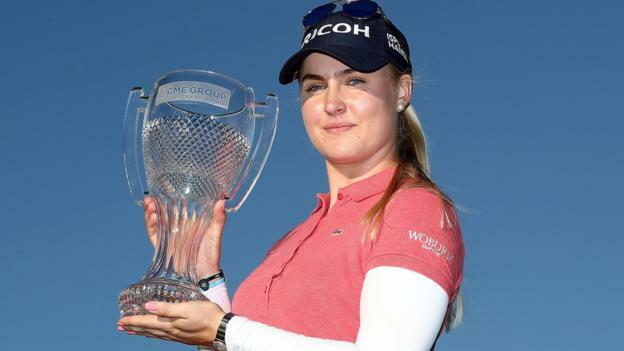 1- The top five (5) finishers entering Naples will control their own destiny at the CME Group Tour Championship, meaning if they win in Naples they will also win the $1M CME Globe. 2- The top twelve (12) finishers entering Naples will have a mathematical chance to win the $1M CME Globe. Previously the top 3 finishers controlled their own destiny, and the top 9 had a mathematical chance to win the $1M CME Globe. The 2020 KPMG Women's PGA Championship will be held at the Aronimink GC in suburban Philadelphia. Shanshan Feng rises two spots to become the new #1 player in the world. Moriya Jutanugarn jumps up 4 more spots to #17, while Megan Khang jumps into my field rating by moving up from #102 to #96. The points have been reset and here are the top 5 players that hold their fate in their own hands. The above five players will win the 1 million dollar bonus if they win the tournament. Seven other players have an outside chance of winning the 1 million dollar bonus. The above seven players can win the bonus if none of the top 5 players win the tournament. Lizette has 5 top tens in her last six starts (the other finish was 13th). Moriya Jutanugarn has 4 top fives in her last five starts. Sarah Jane Smith has three consecutive top 15 finishes. Haru Nomura has not finished in the top twenty in her last 13 starts. M.J. Hur's last seven starts have failed to produce a single top thirty finish. 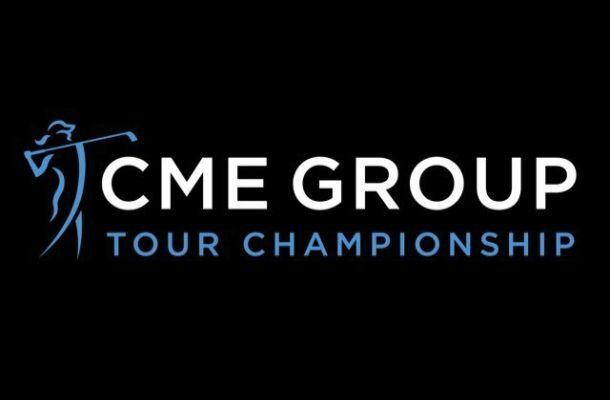 This is the fourth year for the CME Group Tour Championship. In the previous three years only 1 player has finished in the top 10 each time. Can you name her? Lexi Thompson Wins 1 Million Dollar Bonus!